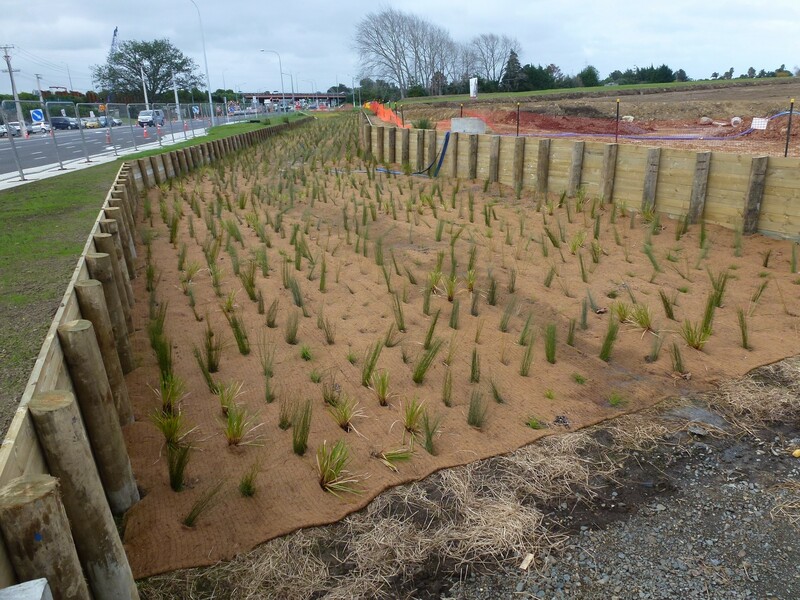 Biomac C is a coir fibre erosion control blanket used for temporary soil erosion protection and to aid in the re-establishing of vegetation in landscaping applications. Biomac C is supplied in different grades for erosion protection and soil stabilisation projects. The choice of coir mat is dependent on the slope gradient, rainfall intensity and application. Biomac C300 is ideal for re-establishment of steep slopes on road embankments as well as for overland flow channels and grass spillways. Where a higher level of protection is required or where the application is on steeper slopes (>2:1) then Biomac CJ450 is suggested. Biomac C is laid on prepared slopes which are normally pre seeded. Biomac C can also be used on slopes which are planted out. Steel staples or Biopegs are used to hold down Biomac C and maintain good intimate contact with the soil.